Public Security Minister to step down after 2015 elections amid corruption case into Yisrael Beytenu, year of security crisis. Internal Security Minister Yitzhak Aharonovich is retiring from politics, he announced Friday, after a disastrous term in the ministerial post and amid a major corruption scandal in his Yisrael Beytenu party. "After eight years in the political system, of which I served one year as Minister of Tourism and six years as Minister of Public Security, in addition to 32 years as a member of the defense establishment, I agreed yesterday with the chairman of the party, Mr. Avigdor Liberman on my resignation from the [Yisrael Beytenu] party and from political life, which I joined out of a desire to be a positive influence for the better," Aharonovich said Friday afternoon. "I had the privilege to be a part of complex political processes and management of significant offices [during my tenure]," Aharonovich continued. "I was also privileged to be able to take part in making social, security, and political decisions - all for the good of the State of Israel - and I am grateful." Liberman also released a statement thanking Aharonovich for his time in the party. 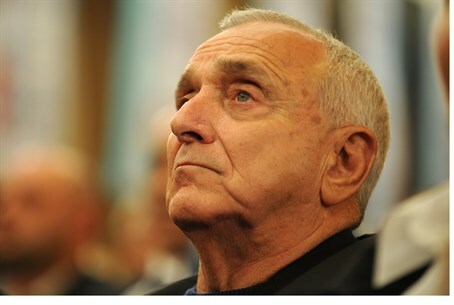 "I thank Yitzhak Aharonovich for the years when he served on behalf of the Yisrael Beytenu party in the government and the Knesset," Liberman said. "In his positions as Minister of Public Security and Minister of Tourism, Aharonovich contributed much to the State of Israel [. . .] and I am convinced he will continue to contribute to the State of Israel in the future." Aharonovich is the third MK in recent days to quit the party, which is embroiled in a massive corruption scandal revealed last month involving several senior party members. Both Tourism Minister Uzi Landau and MK David Rotem also quit from Liberman's party. The past several weeks have seen a spate of resignations by MKs - although most of them have come from Tzipi Livni's rapidly diminishing Hatnua party that combined with Labor. Aharonovich has become a focal point for criticism over what many perceive as an inadequate response to the constant cycle of violence in Jerusalem - prompting much drama around goings-on in the police and the government over how the attacks have been handled. Frustration with the security establishment in general has climaxed, as many major attacks were allegedly played down by the Israel Police and Internal Security Ministry, including the murder of 27-year-old construction worker Netanel Arami hy"d and 19-year-old Shelly Dadon hy"d last year.